Anaheim's major attractions are its world-famous Disney entertainment complex, sports teams, and convention center. Give yourself a bit of retail therapy at Third Street Promenade and Bergamot Station. 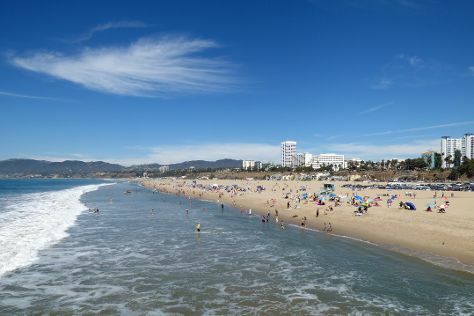 You'll find plenty of places to visit near Anaheim: Fred Segal (in West Hollywood), Santa Monica (Santa Monica Beach & Santa Monica Pier) and Rodeo Drive (in Beverly Hills). Have a day of magic on the 17th (Fri) at Disneyland Park. For photos, other places to visit, and other tourist information, refer to the Anaheim vacation builder. Expect a daytime high around 76°F in November, and nighttime lows around 52°F. Finish up your sightseeing early on the 17th (Fri) so you can travel back home.